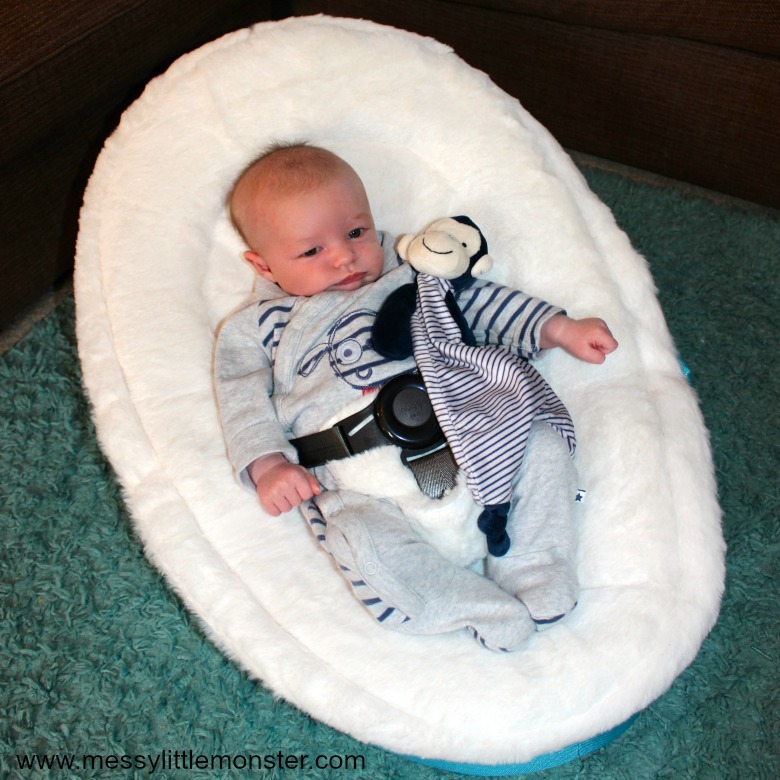 If you are looking for a relaxing seat for your baby you should take a look at the snuggle seat. 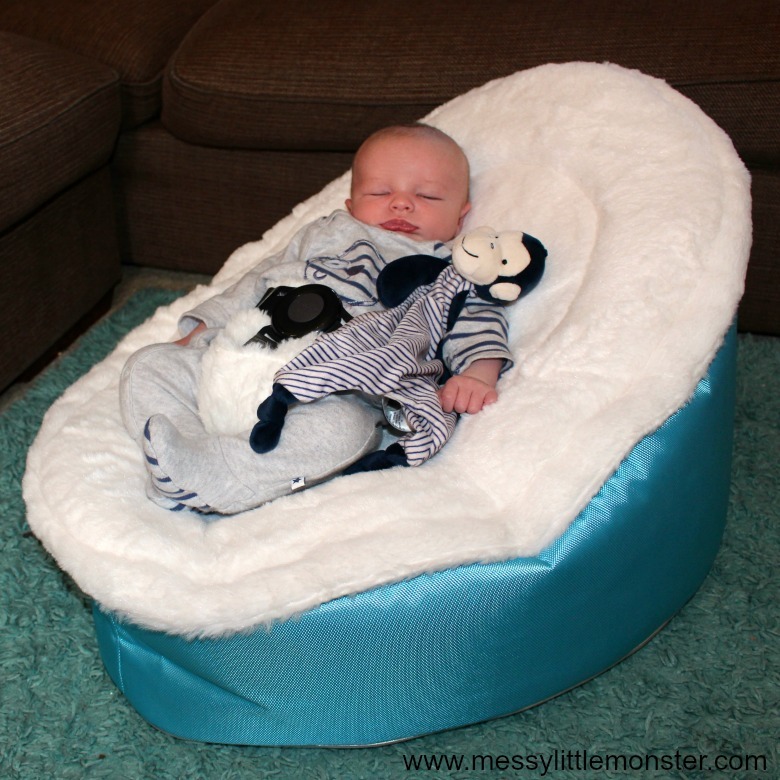 The snuggle seat is a very cosy looking baby bean bag. It has two different covers, one with a harness for babies and one without for toddlers or older children. Look how cosy Oliver looks in it. The bean bag looks stylish and fits in with our home decor too! 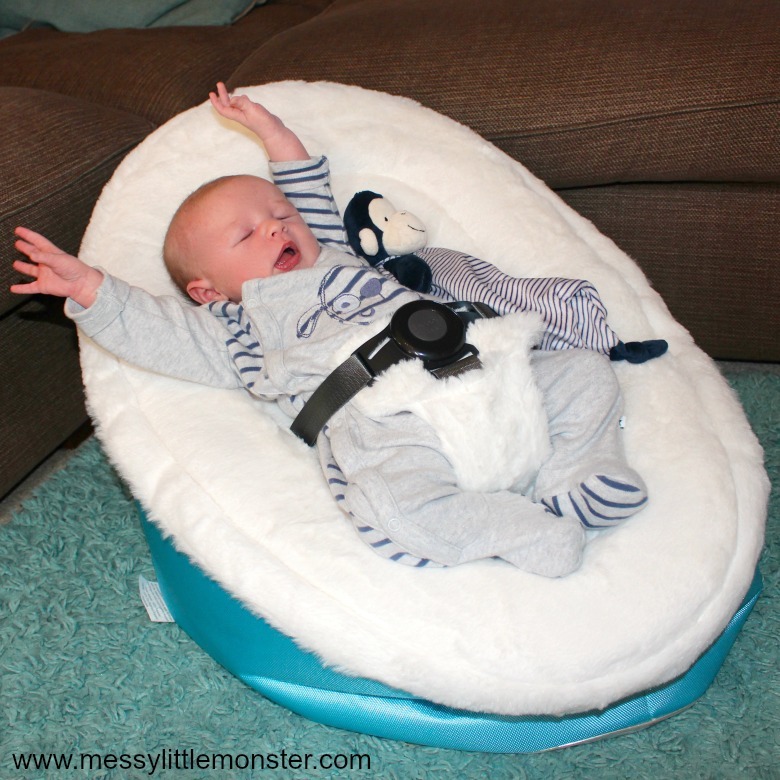 First of all I would like to thank snuggle seat for sending us one of their baby bean bags for our gorgeous little bundle of joy, Oliver. We love it! Time is flying by and little Oliver is now six weeks old. As much as he loves cuddles it's nice to have a few places for him to relax so I can spend some time with the other children and get a few things done around the house. 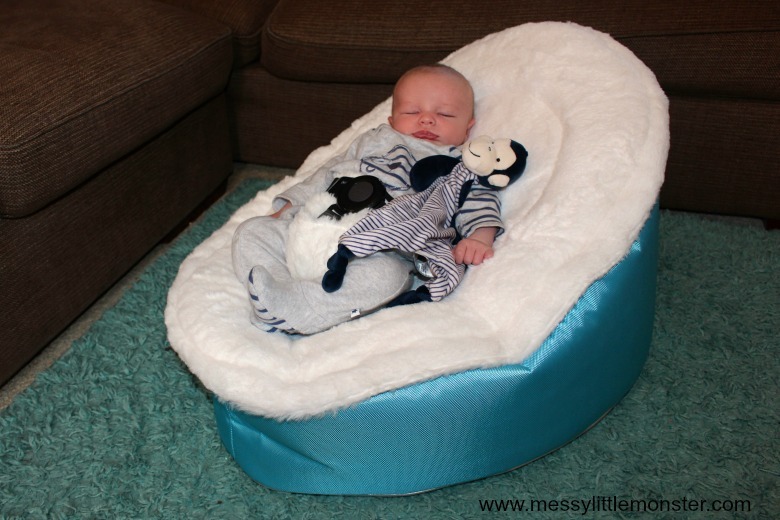 The snuggle seat baby bean bag along with the faux fur newborn cover (as seen in the pictures) is a perfect place for him to get cosy and relax. 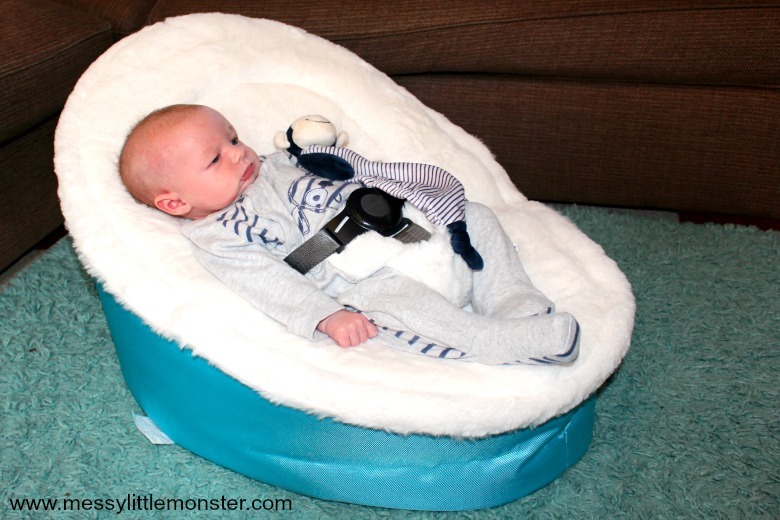 There are lots of different colour combinations of snuggle seats to choose from. Each seat has 2 interchangeable covers with it, one with a harness for babies and one without for toddlers and older children. The faux fur newborn cover is an added extra that's not really needed, but it's so soft and snug! It was this faux fur cover that made me fall in love with the seat. We chose the day and night snuggle seat for Oliver. This colour combination is lovely for a little boy and it fits the decor in our sitting room perfectly. We might swap the faux fur newborn cover for the navy cover that it came with as he gets a little older. There are a total of 18 different colour combinations that you can choose from, so there should be something to match most rooms. 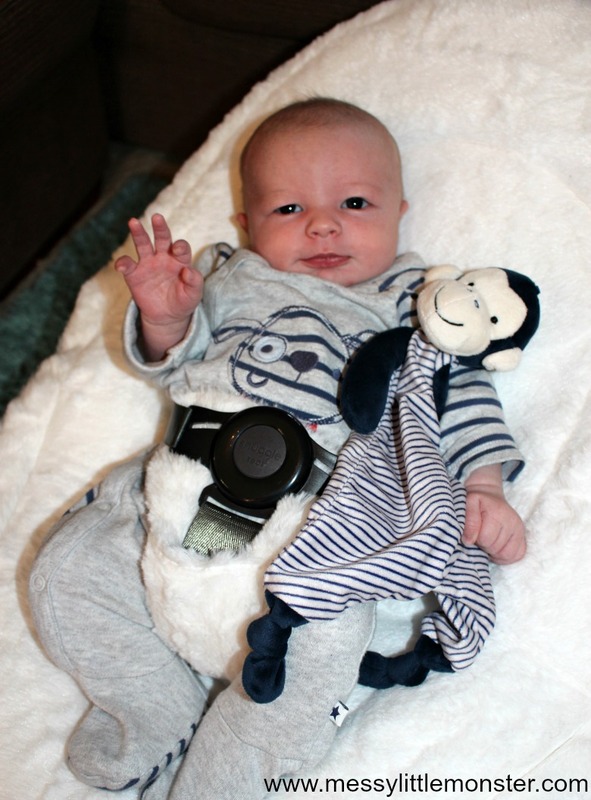 Safety is one of the biggest factors to think about when choosing a product for a baby. 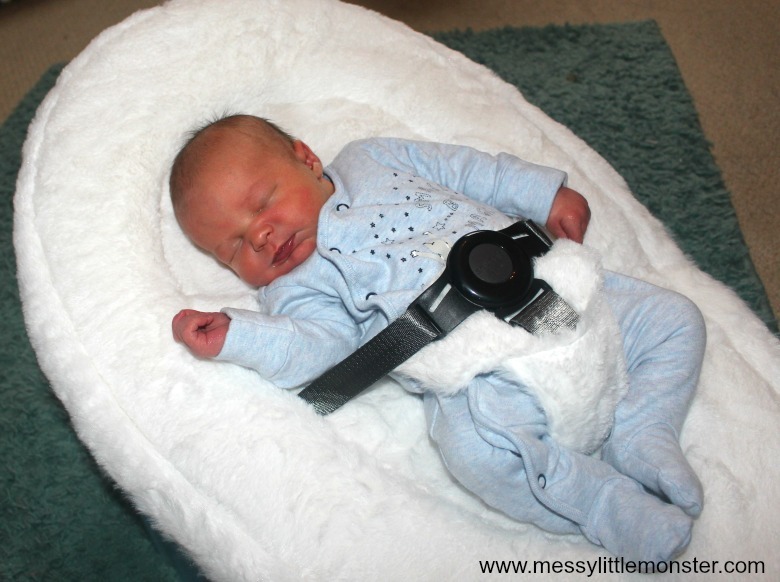 All snuggle seats come with a quick release buckle to keep baby safe and secure as well as foam padding to support the babies head. For really young babies like Oliver I would recommend removing some of the filling in the bean bag to make it a bit more cosy and snug for them. We found that with all the filling inside it was a little too upright for Oliver. Once we had removed a little it made it much easier for him to relax into the seat. Luckily the snuggle seat is washable so it is easy to keep clean, this is definitely needed in our house with the older children climbing all over it! Both of the covers (for newborn and older kids) are waterproof and hand washable, the inner filling bag can be removed if needed too. Oliver looks so cosy in his little bean bag chair and it should last for years. I'm not sure who loves the seat more though, Oliver or his big brother and sister! 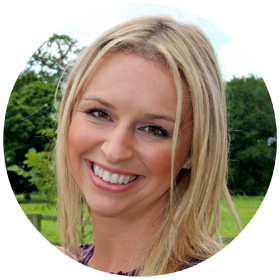 If you are expecting a baby and you have other older children take a look at this book list for preparing siblings for a new baby. 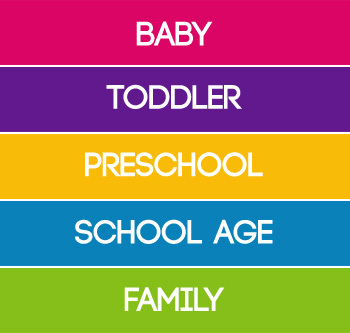 You can see all our baby activities here. We love our baby sensory bags and cute baby keepsakes. Follow us on Facebook, Pinterest, Twitter, Instagram or Youtube.